That’s going to have to come out of your allowance, Molly!! 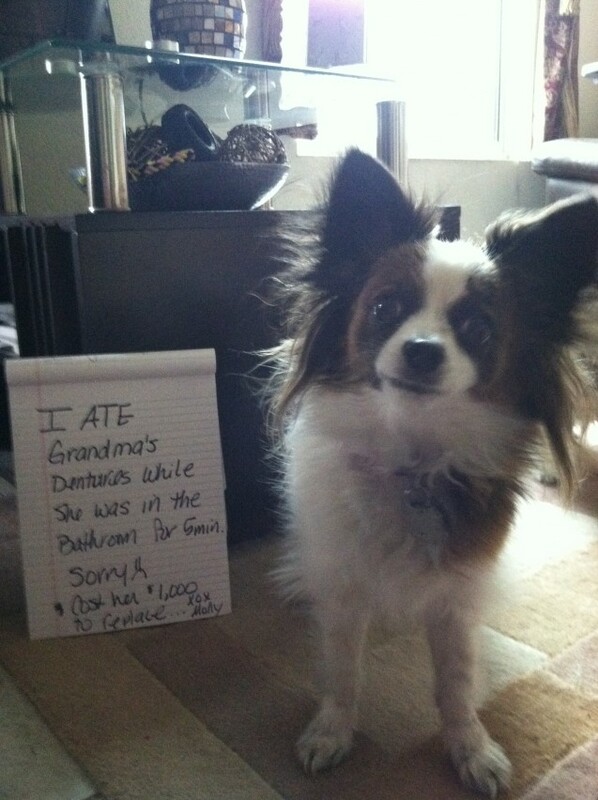 I have a papillon too, and she has eaten two mouth guards from the dentist — i grind my teeth. she shreds tissues too!